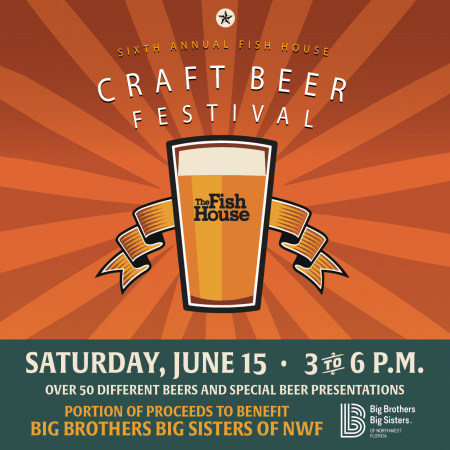 6th Annual Fish House CRAFT BEER FESTIVAL!! This is a 21 years old and over event!! Day of, if still available, tickets can be purchased at the door. When you pay we put your name on the list to attend!! There are no physical tickets – just give your name at the door!!! We will offer a number of local and regional breweries. 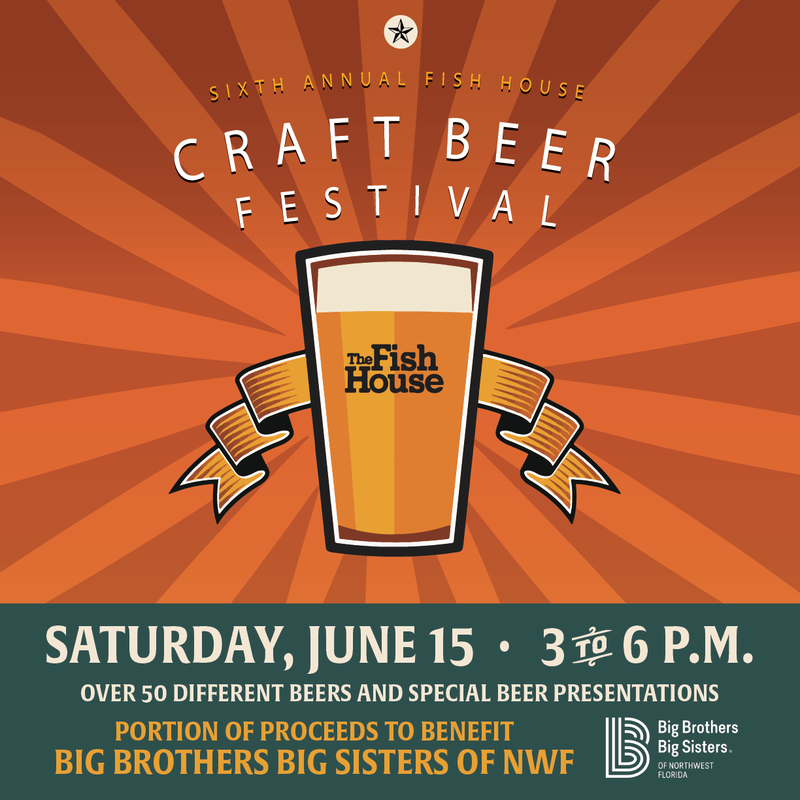 Gulf Coast Brewery (Pensacola), Pensacola Bay Brewery (Pensacola), Perfect Plain (Pensacola), Props Craft Brewery Company (Fort Walton Beach), Grayton Beer Company (Grayton Beach), Swamp Head Brewery (Gainesville), Cigar City Brewery (Tampa), Ye Olde Brothers Brewery (Navarre) and Fairhope Brewing Company (Fairhope, AL) — to name a few of the craft breweries — will be in attendance. In addition, we will also have three spirits tables featuring a number of small-production vodkas, rums and bourbons. This is a 21-and-over event and will occur rain or shine. 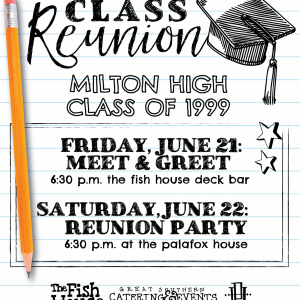 Beginning April 1, 2019, reservation / ticket will be available for purchase at the Tackle Shop, our gift and souvenir shop at the Fish House, for $20 (plus tax), or through our online shop, greatsouthernrestaurants.com/shop. Should there be tickets still available, price will increase to $30 (plus tax) beginning June 1. Day of, if still available, tickets can be purchased at the door. Ticket holders will be given a souvenir beer glass and will have full access to all of the beers and spirits. 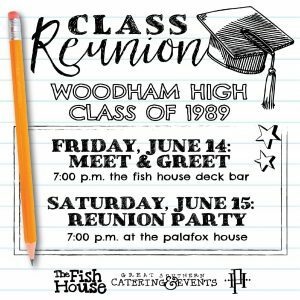 For more information and to purchase your tickets, stop by the Tackle Shop, visit us online at www.greatosuthernrestaurants.con/shop or give us a call at (850) 912-6622.